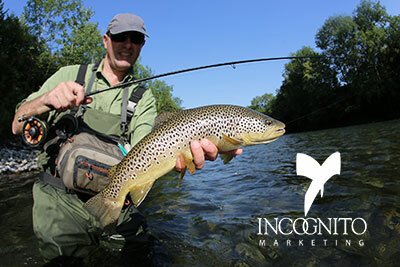 Incognito Baits the Hook to Land Your Ideal Customer. We define your ideal customers, determine what they want and clarify what makes you different. Then we craft a Master Story of your unique Value to be used in all marketing, advertising and communications. This story, combined with consistent logo usage, graphic style, colors and message result in a positive memorable brand. You have only 5 seconds to capture the attention of a viewer on your home page and make them want to know more. Based on your Master Story, we design a website that quickly communicates what makes you different and Valuable. Our websites are easy to navigate, download quickly and work across all platforms, but without the Story, they are just technology. Your website won’t generate sales if no one can find it. We offer several options to help customers find you. When combined with your story of Value, your website and other marketing tools, advertising builds your brand identity and trust. Powerful images tell your Story with emotional force. Incognito’s graphic design employs the psychology of attraction, breaks rules to get attention and is focused on simplicity and clarity. It is not design to win awards, but design to communicate your unique Value and get results. Technology changes constantly, creating new formats for your message. What does not change is your Story. Incognito’s copy writing clearly communicates what makes you different and turns those differences into benefits, value, (what’s in it for them). Worth a thousand words . . . pictures show and sell with clarity and emotion, demonstrating your Story, your Value. What are they biting on today? First, we create a strategic message about what makes you different – better than your competition – your Value. Second, we translate these facts into benefits, so your target market knows how they will be better off by doing business with you, . . . what’s in it for them. This is your story, Your Bait. We craft it and we stick to it. Your story is our primary product. Everything else is a delivery system for your story. Keep the customers you have. Increase order size and frequency. Our goal is to create profit for you by attracting the right kind of new customers, keeping profitable customers and increasing sales to both. Positive results depend upon a clear, simply presented story of what makes you different and how your ideal customer will benefit from those differences. Your ideal customer should be clearly defined to accurately craft your story, just as when you go fishing, you decide if you want catfish, trout or marlin. 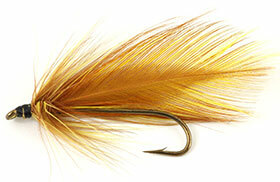 The type of fish you want determines the bait, (Your Story), as well as where and how to present the bait to the fish. Similarly, your ideal customers’ needs, wants, hopes, etc., will determine the most attractive kind of bait to create. (marketing message – Your Story). Without this compelling story, your chances of attracting and doing business with your ideal customer will be reduced. What if you want a single project and don’t need an overall strategy? Let’s say you just need a logo designed, or a brochure, or printed material, or presentation graphics or a website. We can take care of just about anything you need. Graphic design is one thing we’re really known for as well as writing, photography and advertising.